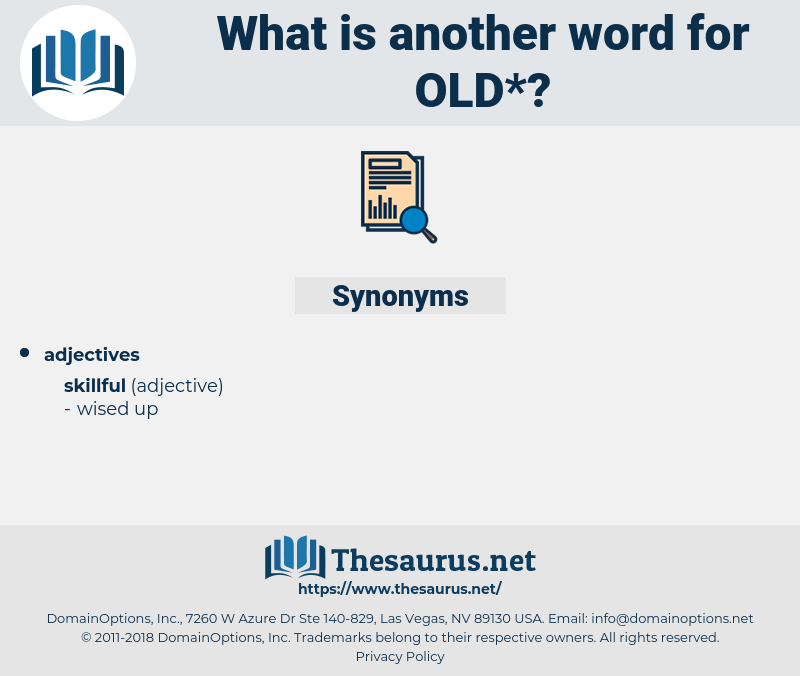 What is another word for old? 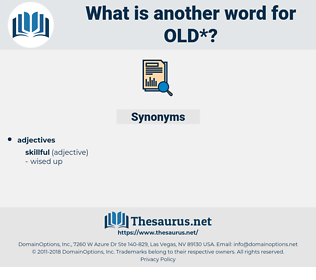 just preceding something else in time or order; " the previous owner"; " my old house was larger"
old-fashioned, age-old, old-style, old-growth, year-old, older, old-school, olden, old-type, centuries-old, old-time, years-old. long-established, longtime, outmoded, end-of-life, long-time, original, stale, former, vintage, long-held, time-honoured, long-outstanding, stereotypical. longstanding, long-standing, outdated, obsolete, dilapidated, old-timer, archaic, out-of-date. inexperienced, recent, fresh, green, young, youthful, current, up-to-date, contemporary, modern, late, new. untrustworthy, interrupted, broken, weak, unstable, wavering, soft, intermittent, changeable, unsteady. arresting, fascinating, animating, astounding, awesome, upstart, entrancing, breathtaking, imitative, underage, diverting, charming, touching, sensational, spectacular, enthralling, attractive, beguiling, wonderful, minor, rousing, electrifying, unworn, eye-opening, invigorating, new-made, mesmerizing, thrilling, gripping, tantalizing, engaging, bewitching, entertaining, stirring, ageless, interesting, provocative, marvelous, engrossing, wondrous, red hot, raw, spellbinding, amazing, stimulating, moving, enlivening, amusing, galvanizing, energizing, surprising, puerile, latest, riveting, astonishing, prospective, absorbing, fabulous, unfamiliar, succeeding, babyish, suspenseful, middle, unborn, callow, exhilarating, inspiring, Infantine, kiddish, hair-raising, alluring, new-fashioned, counterfeit, enchanting, intriguing, captivating, rip-roaring, childish, poignant, exciting. You have been like a mother to your old father. The boy gave a jump when he heard a step behind him and saw the old doctor standing there.